If you’ve listened to The Reformed Gamers for any length of time, you’ve undoubtedly heard Persona 4 Golden come up. I constantly talk about my love for the game and even Adam has stated it’s one of the best games he has ever played. And he isn’t even into JRPGs! So what is it about this game that’s so incredible? Well, the amazing soundtrack is a great start. But what else? The game is loaded with a plethora of costumes. The game starts off with your character, only referred to as “senpai” (meaning upperclassman), in the fictional town of Inaba, Japan. Inaba is your typical rural town, filled with drama, fishing, shopping, and community. Shortly after Senpai arrives in Inaba, we are introduced to the supporting cast of characters and begin witnessing bizarre murders that follow even more bizarre kidnappings; people are being kidnapped through the television at midnight. On top of this, Senpai passes out and awakens in the Velvet Room: a room that exists between dimensions and is inhabited by Igor, an eerie old man, and Margaret, a beautiful yet mysterious woman who acts as Igor’s secretary. Here, Senpai learns of the power of Personas: mystical, and odd, creatures summoned from the breaking of cards. These Personas are formed from the user’s psyche and strengthened by the users’ relationships. It is up to Senpai and his friends to use the power of Personas and investigate these murders so as to put a stop to them once and for all. One of my favorite things about Persona 4 Golden is the wide variety of gameplay mechanics it uses. First, it’s a traditional JRPG that features turn-based combat that really pushes the player to utilize strategy and timing to overcome enemies. If you’ve played a classic Final Fantasy game or Final Fantasy X, you’re already familiar with the combat. Naturally, if you spend enough time with someone they will develop feelings. Another aspect of the gameplay is the cultivating of relationships. I don’t mean relationships as in dating relationships, although that is present in the game. Since Personas are strengthened by your relationships with your friends, it’s very wise to spend time in the game hanging out with the other characters and building relationships. As you get to know other characters, and these bonds strengthen, your Personas of the appropriate bond grow in power and, in Pokemon-esque fashion, evolve. But these bondings also unlock various skits, a la Tales of Xilia and Tales of Zestiria, that are so incredibly well-written and authentic that you find yourself wanting to unlock more. At least, that was my experience. 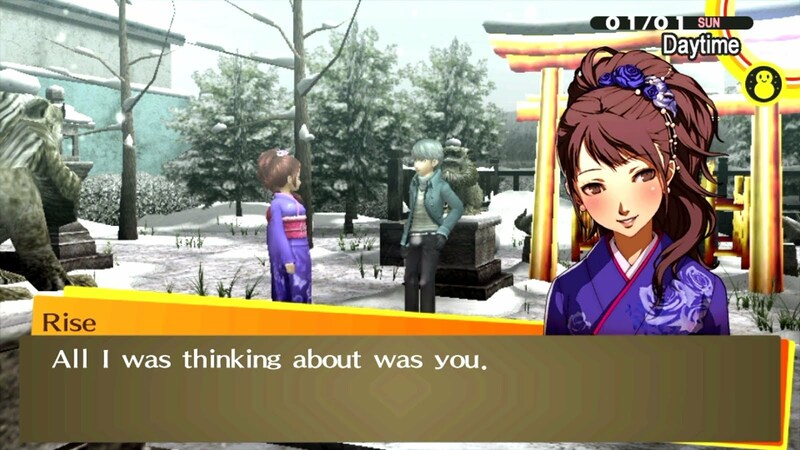 Probably the best thing about Persona 4 Golden, apart from the great combat and dungeon-crawling, are the characters and how they change throughout the story. Each character has a unique personality that, at times, seems extreme but also feels authentic. As you get to know the characters, you begin hearing of the struggles they face. One character laments the life of being a pop idol and yearns for just a ‘normal’ life. Another character struggles with homosexual temptation while being perceived as the town bad-boy. Another struggles with self-worth and self-doubt. All of these are struggles that someone in high school can relate to and are written in a manner that comes across as authentic and devoid of agenda-bias. It’s up to your character to either support and challenge your virtual friends or completely forsake them. And that’s essentially the core focus of Persona 4 Golden. Not the combat, not the zany Personas, but the push to invest in relationships and love your friends. The game even rewards you for taking the time to talk to the virtual characters and hear them out. There are three Bible verses that come to mind when I play Persona 4 Golden. 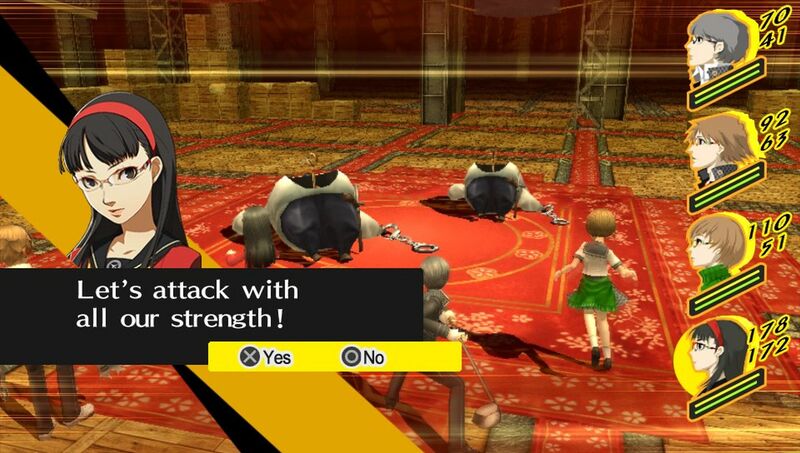 In P4G, you can choose to treat your friends harshly. Or, you can choose to love them, to bear one another’s burdens, and to allow them to vent their frustrations. It reminds me of how we are called to love one another, just as Christ has loved us. This means that we listen to people’s hurts. We encourage. We pray. We love. I remember a conversation with Kanji in P4G. He talks about dealing with this “bad boy” stigma he carries and how he wants to help his mother because his father isn’t around. Another character, Rise, tells me about how she hates not being able to go anywhere because of her celebrity status and how she wishes she could give it up. 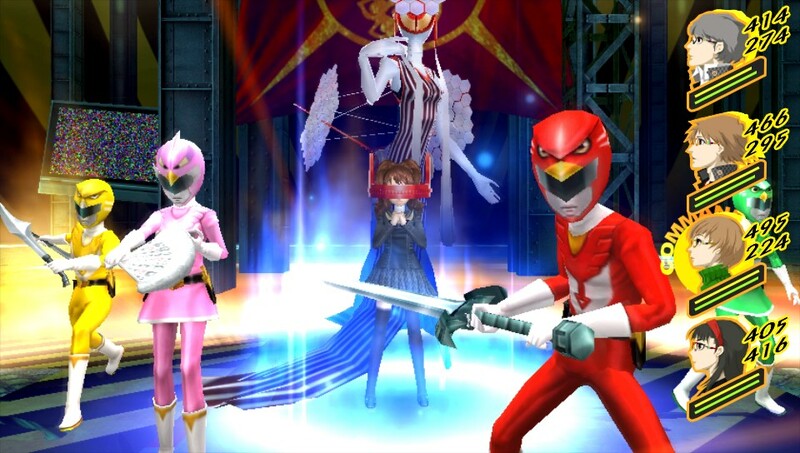 These are just some examples of the pain the characters in P4G express for the player to interact with. Your character is there to lend a listening ear or word of encouragement. In that, he’s bearing the burdens of his friends to show that they’re not alone. The ending to P4G is an intense, curveball of an ending. But the build-up to the final battle is a beautiful display of Biblical friendship. The final enemy goes on a lengthy monolog, as all arrogant villains do, about how they will destroy the world. As the villain begins sapping everyone’s energy, and all seems lost, your character stands boldly against evil, declaring his protection over his friends and loved ones. This energizes everyone else, pushing them to stand in front of the main character, daring the villain to come and try to fight against them. When I was playing through the end of the game, I was reminded of how, when the body of Christ comes together, supporting one another in accountability, emboldened by the Holy Spirit, what can evil do? I mean, if Christ is for us, who can be against us? Now, I’m positive ATLUS did not mean anything I have pointed out with regard to their game. But as a Reformed Gamer, I follow 2 Cor. 10:5 and Eph 5:16 when I play video games. As I played Persona 4 Golden, my mind went to these verses and I saw a beautiful picture of what love within the church body can look like. It’s often messy, difficult, and brutal. However, through it all, there is love, and love covers a multitude of sins. That was a good article Logan, I would really love to play it someday. It frequently goes on sale. I’ll hook up next time I see one. Great post here Logan, I have yet to play any of the Persona games except for the fighting one Ultamix I think it is. I’m still going through it but I enjoy the characters. It’s hard sometimes cause I have never played any of the games and the story doesn’t catch you up very well. Powerful use of the verses you brought up, so true. God bless.